Turner Broadcasting System (TBS) is an American basic cable and satellite television channel that is owned by the Turner Broadcasting System division of Time Warner, which shares its name with the channel. 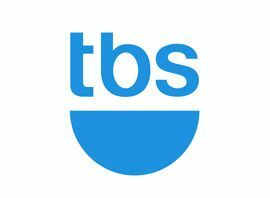 TBS carries a variety of programming, with a focus on comedy, along with some sports events, including Major League Baseball and portions of the NCAA Men´s Division I Basketball Championship. TBS is available on cable and satellite providers throughout the entire United States. Until October 1, 2007, the national TBS feed could not be viewed within its home market in the Atlanta metropolitan area, due to the over-the-air presence of WTBS (channel 17), which carried a nearly identical schedule, with the only differing programming being children programs that meet the Federal Communications Commission (FCC)´s educational programming guidelines and public affairs programming. The operations of WTBS and TBS Superstation were separated in October 2007, with the over-the-air Atlanta station becoming WPCH-TV, a general entertainment independent station focused solely on the Atlanta area. The national TBS feed became available to cable and satellite subscribers within channel 17´s viewing area as a result. TBS´s programming was previously made available to cable and satellite subscribers in Canada through the WTBS Atlanta feed. However, the Canadian Radio-television and Telecommunications Commission had only approved the Atlanta station´s broadcast signal to be carried on cable and satellite providers domestically across Canada, not the TBS cable feed. As a result, following the separation of TBS and WTBS/WPCH in 2007, Canadian cable and satellite subscribers received access to WPCH/Atlanta (branded as "Peachtree TV"), instead of TBS. Most of TBS´s flagship programming, such as Major League Baseball (both regular season and postseason games) and original series (such as Conan), are not broadcast on WPCH-TV, but are instead carried on other Canadian specialty channels.